After the good fortune (aka pure luck) of finding (aka stumbling upon) the beautiful El Capitan campground, my husband and I mused about the absolute randomness of our campground selection so far. After all, our first camping trip in California had been just north of this little gem, and let's face it, that place was not even close to this one in beauty or enjoyment. We had no idea about the quality of campgrounds here. And that was not for lack of trying. 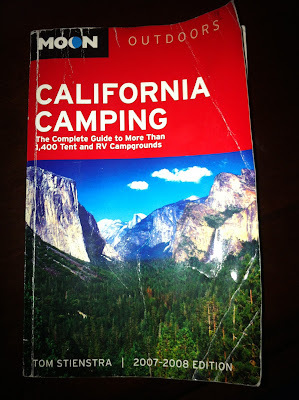 We had purchased the only book we could find about California Campgrounds, we had googled the heck out of the internet, blindly searching for "good campgrounds in California" and everything else we could think of. Of course, we had looked on the state and national park reservation sites, but they were not very descriptive, and didn't have any sort of reviews listed. It was a monumental and daunting task to try to find the really good parks. This book was awesome! It actually lists every campground in California, has a description of the pros and cons of them, and ranks them. 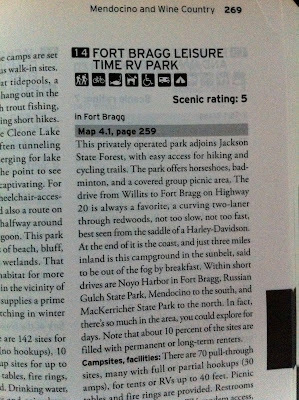 It also has many maps so you can find campgrounds by region. We bought our copy on amazon.com. Oooohhhh!!! It's still there, and now there's a Kindle e-book available. 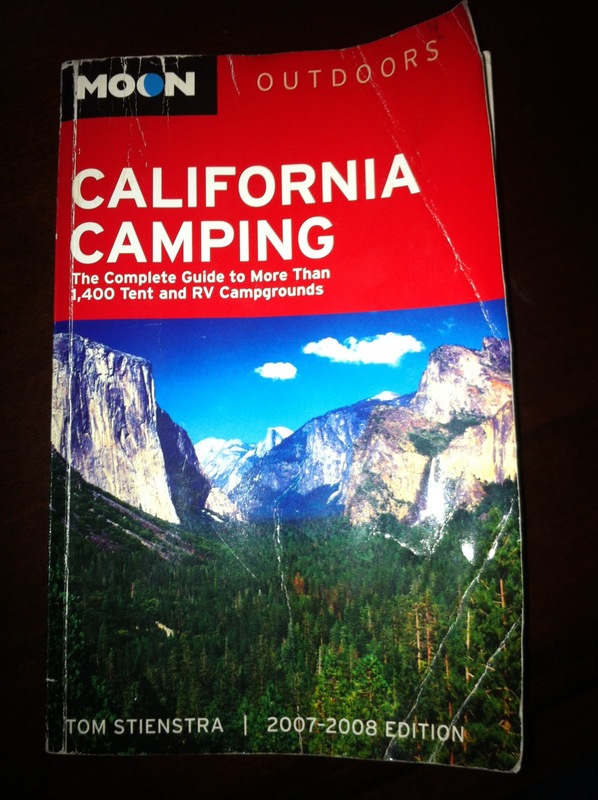 I can't tell you how much this book helped us in our quest for great campgrounds. As you can see, our copy is well-loved & has been used A LOT! (PS- I am in no way being compensated by Mr. Stienstra, or anyone for that matter, but I am so grateful for this book. It was what allowed us to find the great sites we have explored thus far). Now, maybe some of you might question the need for a book to camp with. And maybe you don't need it. But it helped us. If you'll recall, we first had a daughter, who wasn't so fond of the car. Well, in 2008, we added a new little sister to our family, so we were now camping with two little kids. We had no desire to drive for hours, through traffic, with whining & fussing only to end up at an unappealing or unfit campground. If my hubby and I were going to endure a torturous journey, we wanted the prize at the end to truly be worth it! So, it's with mixed emotions that I share this "Holy Grail" of camping with you. I don't want to share my secret favorite camping spots with anyone, but at the same time, I wouldn't trade the joy we have had exploring these beautiful spaces with our family. If it weren't for Mr. Stienstra, I would never have found them. So, if he's willing to share his secrets with us...who am I to be greedy?